This is really good information. 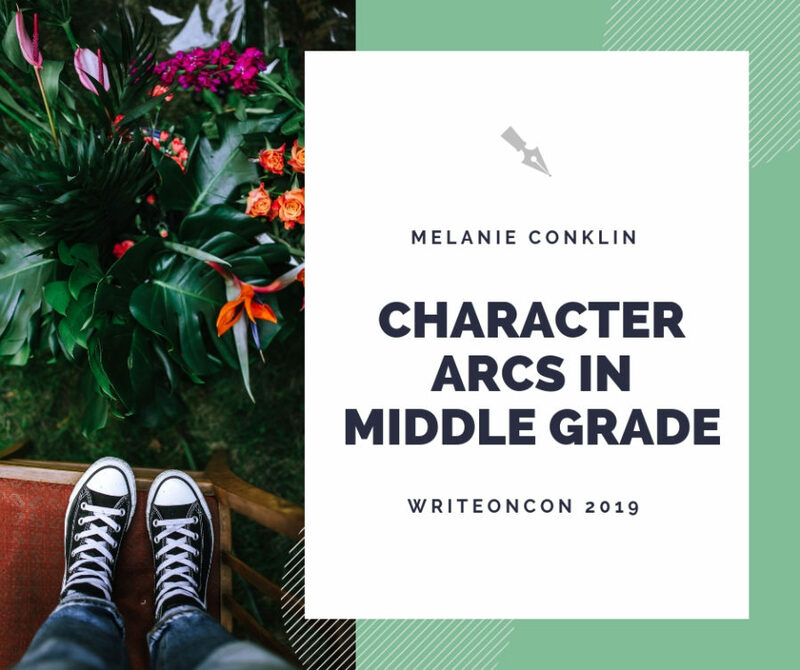 I’ve got a Middle Grade idea, and I was wondering how to approach character arcs in MG (as I mostly write YA). Thanks for this blog that shows how plot can grow out of character, Melanie! When I set out to write my debut novel, I was writing for a YA audience about a character who was searching for her voice and identity, but over the course of several drafts, the TRUTH the character discovers ended up being about belonging, which agents and editors read as being middle grade territory. Any advice on how to resolve the dissonance? That’s an interesting challenge. It is true that middle grade focuses more on knowing your place within your family or friend group, whereas YA focuses on defining yourself as an individual. MG us fitting in, YA is breaking free. It can be hard to hit the YA notes with a story that’s heart centers on belonging, but there are a couple of different things you can try. First, can you identify a stronger thread of individuality in your YA character that focuses less on belonging? Think about how Starr in THUG discovers her voice over the course of the story. She’s literally living two lives at the outset of the novel, hiding who she is from each group, but at the end she embraces her identity and stands proud, defining herself as an individual. That’s the kind of character arc we expect from YA. Do you see parallels in your story? If so, consider modifying your character’s emotional arc and external plot to better suit YA’s characteristics. If belonging is where it’s at, consider what would happen to the story if you age down your protagonist. Try free-writing one of your favorite scenes with a 12yo main character. Can you hear the voice? Does it ring even more true? Is it easy to imagine this child and their journey? Which character path rings truest in your heart? It takes some guess & check to figure out your category sometimes. Give yourself the freedom to explore, and know that it is *very* common to switch MG & YA when drafting! Melanie – Excellent post! I love those eight checklist question and plan to incorporate those into my plot outline ideas template.